THE UNEMPLOYED EATER: Burger You Should Be Eating Right Now: Leona's Le Burger. Burger You Should Be Eating Right Now: Leona's Le Burger. Description: French onion-soup inspired burger. More: Now, let's get this out of the way: is Leona's Le Burger kinda, sorta a copycat of Ludo's burger at Petit Trois? Seemingly yes. But... Ludo himself admitted the Petit Trois masterpiece is kinda, sorta a copycat of Au Cheval's cheeseburger in Chicago. 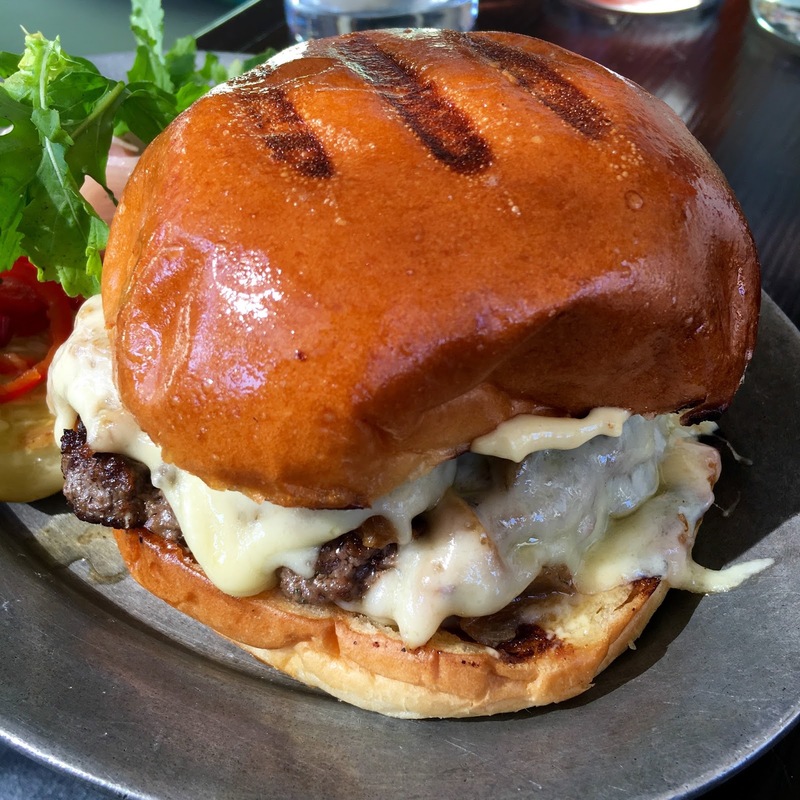 And since Au Cheval serves one of the country's most esteemed burgers (Food Network named it the best, in fact), Leona's mimicry comes from the finest of places. Furthermore, Petit Trois is all the way across town. On some days, it can literally take hours to get to their Melrose and Highland location. Not to mention the miniscule dining room could lead to an extended wait as well. So, for Westsiders, this is their French onion-soup inspired cheeseburger. Chef Nyseha Arrington constructs the burger with a seared patty of ground short rib cooked in beef stock (also rendered from short rib! ), then tops it with caramelized onions and gruyere cheese. All on a very spongy brioche. The result is a very buttery, onion-y, tasty, French bistro-y delight. Which, as of recently, is now available during the week for lunch. Want more than a burger? Here's what to order for dinner at Leona. I would recommend NYC venues to anyone who is looking for a great spot or place to go and attend an event while eating and trying lesser known things. Prices are very reasonable and the staff is great!